A huge body of research has been performed on shade tolerance in forest trees, yet there is little information comparing light responses of open vs closed habitat trees. The relative contribution of shade‐casting tree canopies vs tree densities has seldom been studied at the forest–savanna boundaries. In a recent study published in New Phytologist, researchers from Xishuangbanna Tropical Botanical Garden (XTBG) and their African collaborators explored the drivers of the systemic transition from open savanna to shaded closed forests. They integrated shade effects on grasses and woody plants, and related these effects to the feedbacks that sustain alternative biome states. They wished to determine how trees can modify the light environment under their canopy and whether this creates environmental barriers across biome boundaries. The researchers investigated how shade depth, represented by canopy leaf area index (LAI), is generated by adult trees across savanna–forest boundaries and how a shade gradient filters tree functioning, and grass composition and biomass. 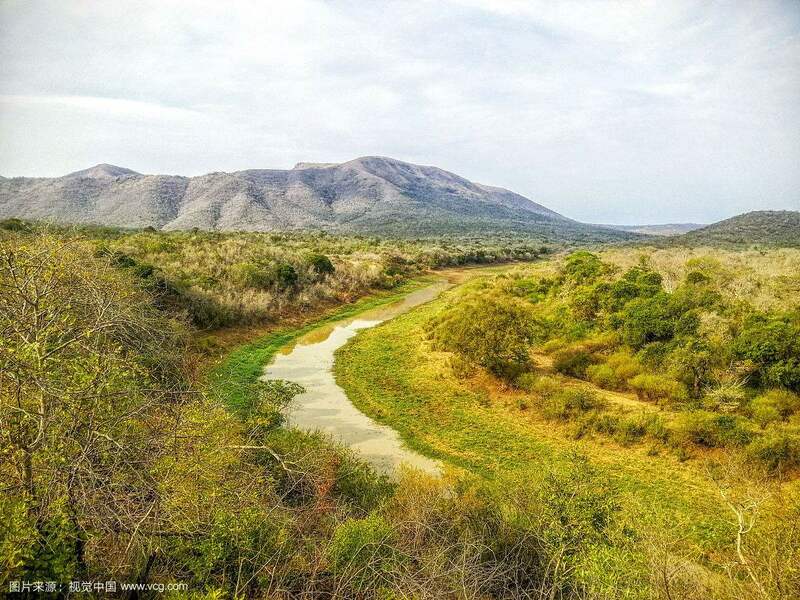 They selected 23 sites at the boundary between savanna and forest (10 sites) and between savanna and thicket (13 sites) in Hluhluwe‐iMfolozi Park in South Africa. They found that the shading by trees is likely involved in two important ecological thresholds at which the ecological functioning shifts in relation to canopy closure: fire suppression threshold and deep shade threshold. Grass photosynthetic types and tree traits (fire and competition) were remarkably well sorted on the light gradient. When grasses fueling fire are suppressed, a functional transformation would happen and lead to a shift of fire related traits in trees. Then, tree competition for light becomes the major filter. The fire‐suppression threshold(LAI c. 0.5) occurred in a more open environment. It separated savanna from thicket and forest, and is created by an increase in density of trees with similar light interception ability. The deep‐shade threshold occurred at an LAI > 1.5. The deeper shade responsible for the second threshold, separating forest from the two other biomes (thicket and savanna), is explained by a combination of both tree density and more efficient allocation of biomass to light interception. The study suggests that shade suppression of grass biomass is an essential first step for the maintenance of alternative stable states.